A member of the HarbourCats local ownership group, and giant of the Victoria business community, has had a major award bestowed upon him. 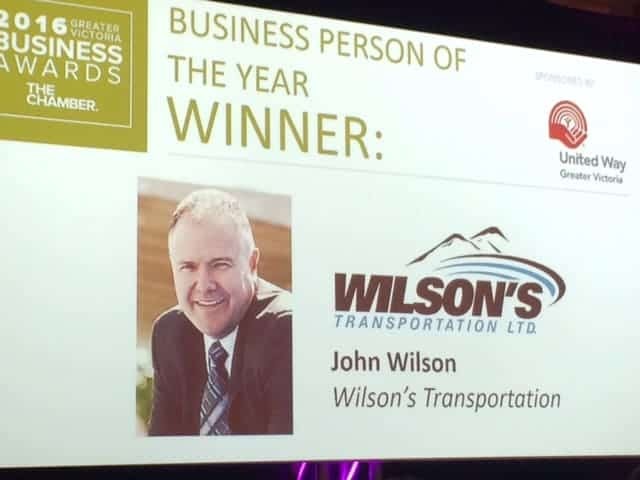 At the annual Greater Victoria Chamber of Commerce Business Awards held at the historic Fairmont Empress Hotel on Thursday evening, John Wilson was named 2016 Victoria Business Person of the Year. Wilson, on behalf of his family — wife Val, son Andrew, daughter Samantha, and parents Kello and Mary — won the award in recognition for his work as CEO of Wilson’s Transportation, an immensely successful charter transportation company serving Victoria and Vancouver Island, as well as his contributions to sport in the community, including his role in the local ownership group of the HarbourCats. Wilson became the CEO of Wilson’s Transportation in 1986 and under his leadership the company has taken significant steps forward in it’s core areas and also with diversification, now boasting a fleet of more than 160 vehicles across Vancouver Island, while also operating Gray Line Sightseeing Victoria as well as YYJ Airport Shuttle and the newly-minted BC Ferries Connector. 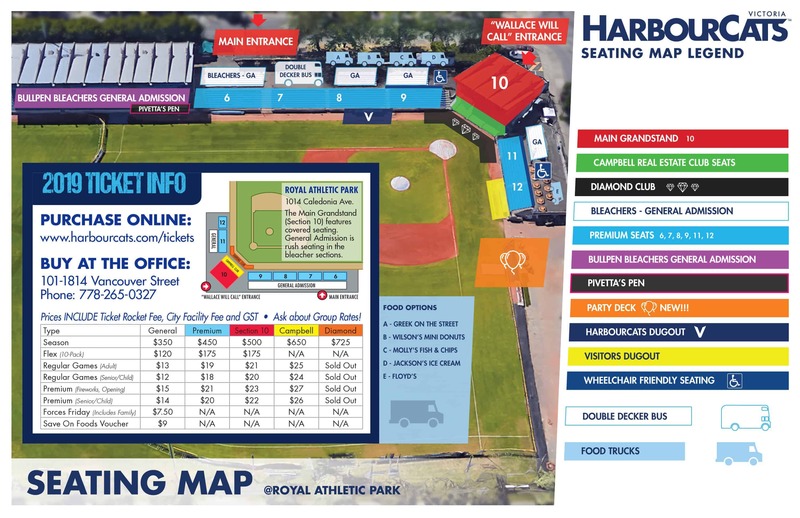 In the spring of 2015, Wilson became part of the four-member local ownership group that took control of the HarbourCats. The group which also includes Rich Harder as well as Jim and Ken Swanson, saw the team enjoy an extremely successful 2015 season, averaging 1,910 fans per game at Royal Athletic Park, while also cementing the long term future of the HarbourCats in the West Coast League, which features premier collegiate baseball, and is proven as one of the most stable and prosperous baseball leagues in operation today. Wilson is also a part-owner of two hockey teams, the BCHL’s Victoria Grizzlies and the VIJHL’s Peninsula Panthers. Rumor also has it, he’s a big fan of the mini-donut street-vending industry. The Victoria HarbourCats would like to offer a heartfelt congratulations John Wilson on winning 2016 Victoria Business Person of the Year. We thank John, and his family and staff, for their tireless service and commitment to our community, and the HarbourCats.